How to Make This a Thanksgiving to Remember! Shear Madness Specials for November! 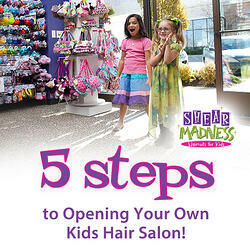 Here at Shear Madness Haircuts for Kids, we are so thankful to YOU - our amazing customers! You all are fantastic! Did You Know??? Our Tiny Tips earrings are perfect for kids once their piercings have healed. They are hypoallergenic, sterilized and made to a medical grade in the USA. Tiny Tips provides parents with earrings that they can trust for their children's ears after the healing period, and come in a variety of cool styles available at our participating stores! Read more about Tiny Tips right HERE! As we mentioned above in our Special November Sales section, it's a really GREAT deal to get a pair of these Tiny Tips for free with a gift certificate for a ShEAR Dazzled Diva! Don't Forget!!! Don't forget that your local Shear Madness Haircuts for Kids will be closed on Thanksgiving Day (Thursday, Nov. 22). But we'll be back on Friday and ready to ROCK for all your great haircutting needs - along with cool toys, jewelry, hair products, madtastic accessories, parties, gift certificates (which make a great present for Christmas), ear piercing and much, much more! From all of your friends at Shear Madness Haircuts for Kids, we wish you a Happy Thanksgiving! 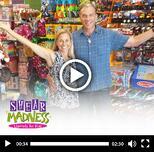 Shear Madness Black Friday Sales! 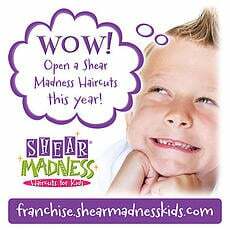 This is one of the most exciting days of the year when it comes to finding a great deal - which is why you definitely won't want to miss out on some truly Madtastic specials at Shear Madness Haircuts for Kids (at participating locations)! Be sure to keep an eye on that e-mail inbox as we'll be sending you the details SOON on Black Friday and White Wednesday Savings! Click here for locations and contact info. Your Online Destination for FUN! Do you love checking up on what's going on via social media? If so, you'll have a great time seeing what's new at Shear Madness Haircuts for Kids via our fun Facebook page, or by taking a look at some of our favorite Shear Madness pins this month on Pinterest! And you won't want to miss the cool excitement on Instagram, Tumblr, Twitter and Google+! Meanwhile, if you're looking for informative articles on franchising and how to achieve business success, don't miss our Franchise Blog! Thanksgiving Savings! Spectacular specials only available by coupon! For example, right now two of our cool coupons is for the following: 25% Off any Pair of Tiny Tips Earrings. Or if that's not quite your thing, how about Buy 2 Die Cast Pull Back Vehicles and get a 3rd for Half Price (at participating locations). Awesome! Maybe it's time to get some of that Christmas shopping done a little early this year! For this and our other coupons, just click on coupon page! AMAZING Crafts for Kids! Check out our Madtastic Crafts for Kids section on Pinterest, and spend an hour or two over the holiday making a no-sew sock turkey craft (as pictured at right)! What FUN! Also, discover how to make tasty pretzel turkey bites (with candy corn), a metal dragon egg, a cute paper roll kitty cat, a cardboard nature sun catcher, awesome paper pumpkins, beautiful glitter acorns, a candy corn scarecrow and a maple leaf fall snow globe! Have a great November! Making Sure Your Franchise Door Fits! In his book START WITH WHY, Simon Sinek tells the story of a group of American car executives who went to see a Japanese assembly line. At the end of the line the doors were put on the hinges just like in America. However, something was missing. In America the workers at the end of the line tapped the door with a rubber mallet to make sure the doors lined up properly. In Japan that job did not seem to exist. Confused, the American auto executives asked at what point they made sure the doors fit perfectly. The Japanese guide looked at them and smiled sheepishly, "we make sure it fits when we design it". You see, in the Japanese auto plant they didn't examine the problem and accumulate data to figure out the best solution - they engineered the outcome they wanted from the beginning. If they didn't achieve the desired outcome, they understood it was because of a decision they made at the start of the process. How many hours will I need to work and how will that change my lifestyle? How much money can I reasonably expect to make for the money I invest? 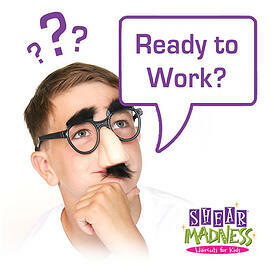 Can I manage people and can I find enough workers for my franchise? Is there a demand for the service in my area? Does the franchise I am considering have a proven track record of success? Do they have the training and support that I need, when I need it? 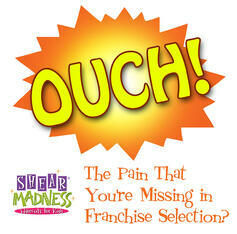 If my franchise fails, will I be able to recover and still live comfortably? Making sure that you understand what you're getting into and what the desired outcome might look like will really go a long way toward giving you the comfort level you need to make a decision. Otherwise you may end up feeling like you should hit yourself over the head with a rubber mallet! I was recently talking to a friend of mine about a recent food franchise that had failed after being open only six months. He said, “well the food wasn’t very good and the customer service was bad.” Well there’s a surprise! Of all the components that are most important to your long term success, having a well-trained and motivated staff is numero uno. Even more so than your process, and more than your product, having the right people in place is a must. Signs of an undertrained staff that is ready to work are low productivity, being less efficient, less knowledgable, an inability to offer customer support, and in some cases they may even be unsafe! Does that sound good for business? Yet many franchisees buy a franchise and hire people who they think are going to love and care about the business. Unfortunately, many end up the like the food franchise that I started off talking about...closed for business. But here’s the thing, this is a nationally known chain with good food and a fun atmosphere - so therefore we can only assume that this inattentive owner failed at every level. From the cooks in the kitchen who were preparing the food, to the waiters and to the check-in staff. Don’t waste your money buying a franchise if you can’t spend time getting to know and train the people who are going to work for you. They are the “face” of your business. 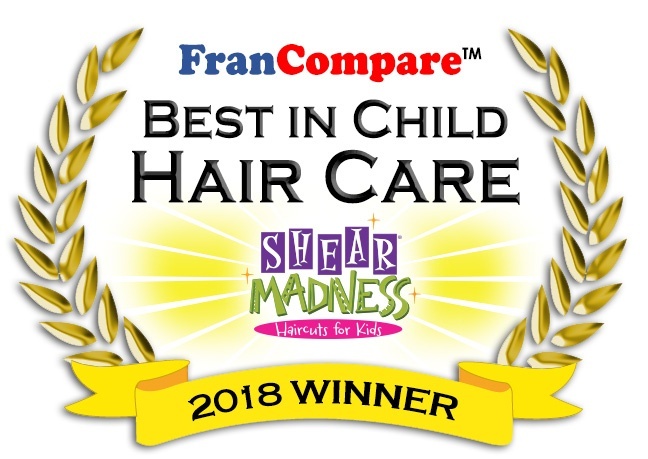 That’s why at Shear Madness Haircuts for Kids we train our staff to answer the phone the same way every time, as that voice on the phone is the first impression of our business. 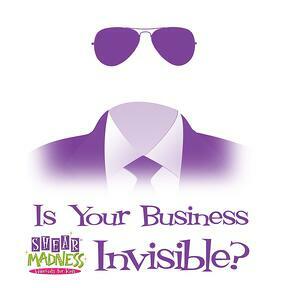 We want all of our customers to know that we are “having a great day at Shear Madness!” Well trained employees know how to communicate, know how to listen, become self-motivated, know how to sell themselves and your business and know how to deal with stressful situations. And that makes for a business that you can be proud of! 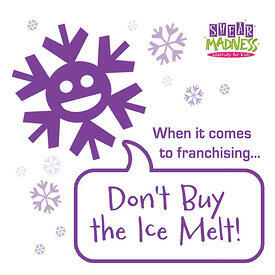 When it Comes to Franchising...Don't Buy the Ice Melt! You know, several weeks ago our local weatherman here in Kansas City started talking about a major ice storm. When the local news came on they would open up with the scary music and the big graphics that filled the screen, "ICE STORM 2017". Of course, there were long lines at the grocery stores and bottled water supplies quickly dwindled. However, one report that really fascinated me was from a poor, exhausted individual at a local convenience store who had been to 7 stores, and still couldn't find any ice melt - everyone was sold out! Well, you probably know where I am gong with this. The big storm never came. If the people who had gone out in a panic had done a little homework, they would've noticed that it was a one day event where the weathermen expected it to be back in the fifties in a couple of days. In other words, if you could survive for 24 hours, you were probably going to be just fine! Unfortunately, franchising is a lot like this. We are constantly amazed by some of our competitors who claim things like, "We are growing at 500 percent! We have 16 markets that are sold out! We are the best children's salon franchise in America!" One recent competitor of ours making such claims just bought the concept from a previous Franchisor competitor only two years ago! Wow! If we would have known that we could have learned everything about our business in a couple of years, then you can bet that we would've franchised it along time ago (because we ran the concept for 12 years before we franchised it). You see, what they are really good at is selling franchises - not running the concept that they are selling. So let me give you some advice: do your homework! Ask how long a franchisor has been running the concept, ask if they are currently running the concept, ask how many franchise locations have closed and for goodness sake's call the franchisees and see if they are getting the training and support they need. The moral to the story here? A lot of franchisors sound just like our local weatherman, and a whole lot of people went out and spent money on ice melt when they really shouldn't have!